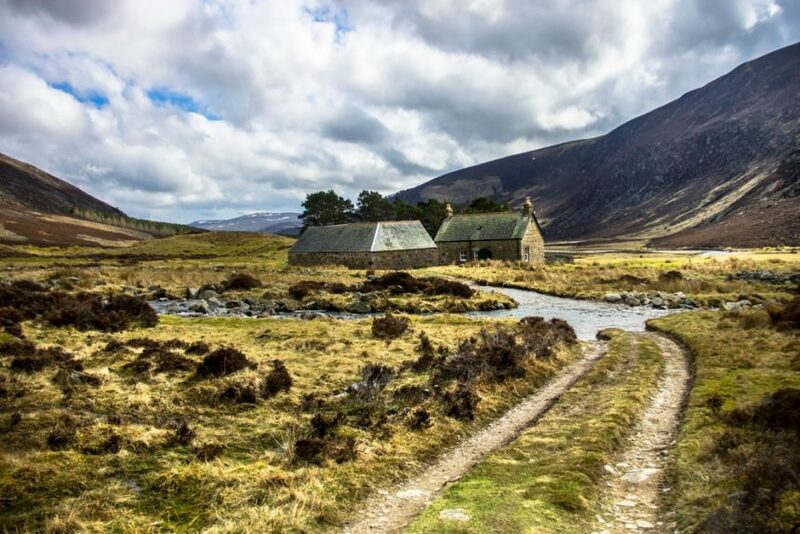 In Liverpool, Bill Shankly’s name brings to mind the glory and success of his managerial years at Liverpool FC so you might be surprised to discover that the Liverpool Legend grew up in a remote and poverty-stricken village in Scotland called Glenbuck. Known amongst fans as Shankly’s lost village, Glenbuck is the birthplace and childhood home of the world-class manager who steered Liverpool FC to three English league wins, two FA Cups and a UEFA victory. The former football legend was born in the remote East Ayrshire village on September 2nd 1913. One of 10 children, Bill Shankly was the second youngest child. The iconic football manager had a modest upbringing, claiming that he didn’t have a proper bath until he was 15 and that he would regularly steal turnips for boiling and eating. But it was this tough upbringing that shaped Shankly’s humble attitude to the beautiful game and grounded his ethos and values in equality and fair-play. For most of Glenbuck’s history, it had only two exports: coal and footballers. 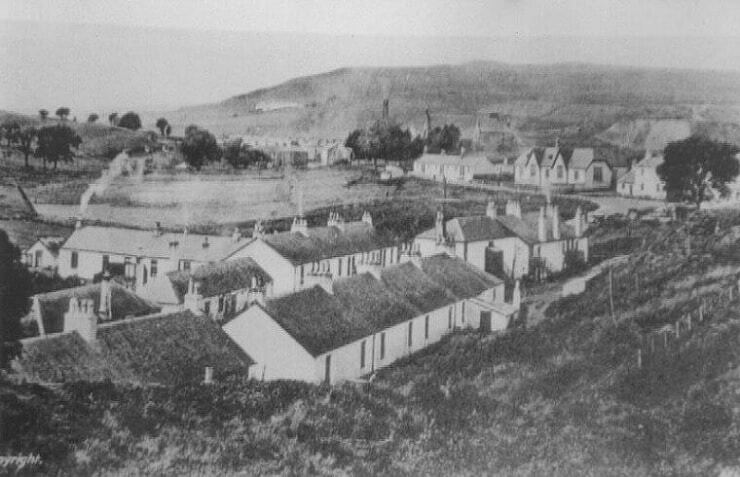 Glenbuck was a struggling coal mine village in the 19th and 20th centuries. Residents lived under constant threat of mine closure as the coal steam began to run out. By the end of the 1930s, the pit mines had closed. In the late 1990s, the old mine was converted into a open-cast mine, which saw the destruction of many of the homes in the village. 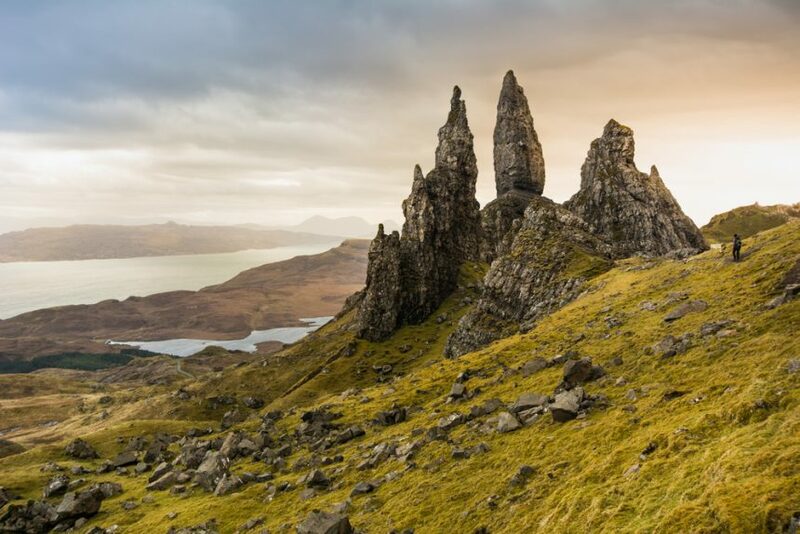 But this tiny village in the Scottish hills also produced 50 footballers who went on to play professionally – an impressive figure for a village whose population never exceeded 1,700. Alongside Bill Shankly, other renowned footballers to come from this small Scottish settlement included four English FA Cup winners, five full internationals and 50 professionals. Bill’s uncle Bob Blyth who played for Rangers, Preston North, and Portsmouth respectively also heralded from the village. Alex Tait, a Tottenham Hotspur player when the club won the FA cup in 1901, was also Glenbuck born and bred. According to former inhabitants of the tiny village, football and mining went hand-in-hand in Glenbuck. When the mine was open, it was normal for the workers to have a game every night after finishing in the pits. The football pitch, Burnside Park, was only a short walk away from the mines. When Bill Shankly left school he worked in the mine with his brother Robert for 2 years before it closed. 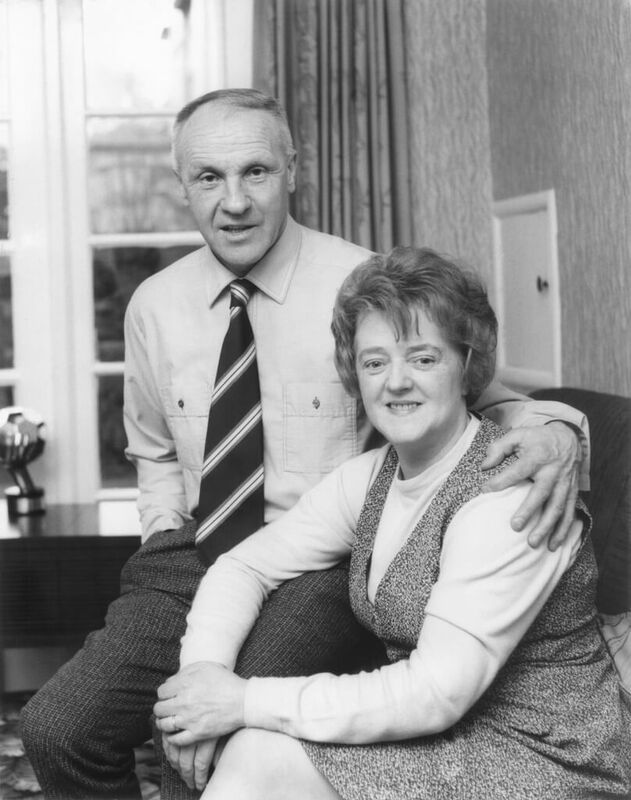 Appearing on the TV Show ‘This is Your Life’ in 1973 with her brother, Bill Shankly’s sister Netta reminisced about the antics the Shankly brothers used to get up. The five brothers would blow up balloons and kick them around the cramped quarters of their childhood home, often breaking vases and sideboards as they went. Glenbuck’s local team was called the Glenbuck Cherrypickers, but the team folded before Shankly was old enough to play for them. Instead he played for Cronberry, a semi-professional junior team located 12 miles away from the village. It was here that Shankly was scouted for Carlisle United, kick-starting his footballing career. Professional footballers like Shankly were part of the fabric of the village, and this might be why so many successful players were raised in the village. Many of the footballers continued to socialise with younger players, encouraging their sporting efforts. According to former residents of the Scottish village, the mining settlement had a collective attitude to life and were happy to help any family in need. This was later reflected in Shankly’s humble attitude on the pitch, and his belief in playing as a team and not as a group of individuals. After his pitch-side success, Bill Shankly used return to Glenbuck and often joined in games with local youngsters. According to former residents, he often asked how families were getting on, before kindly gifting them financial support. 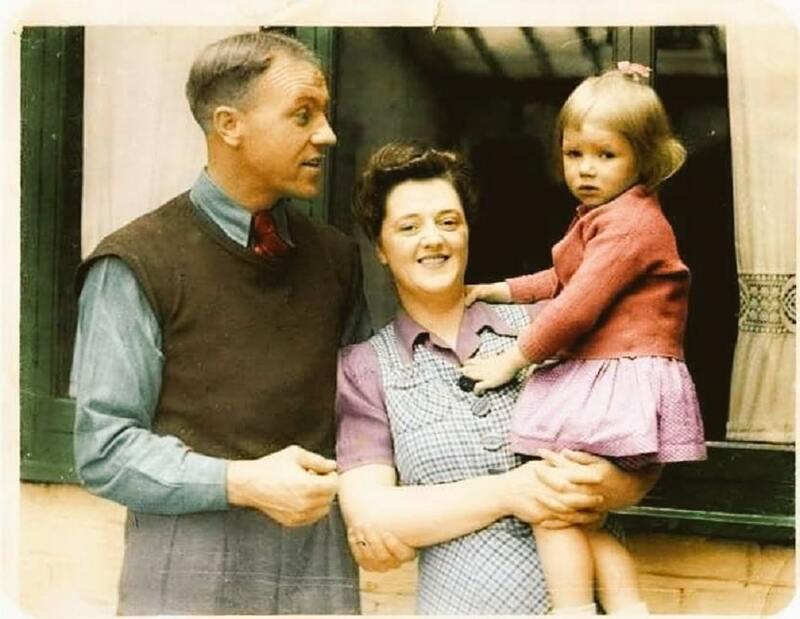 The family atmosphere of the village must have rubbed off on the LFC legend as Bill Shankly’s family was always important to him. Just before his death he said: “There’s nobody closer to you than your own kith and kin; your own blood. I’ve got my wife, my daughters, grandchildren, and my sons in law. They’re the closest to me and I would die for them”. Today, an LFC supporter’s group called the Spirit of Shankly are dedicated to keeping the legacy and values of their hero relevant to the club. Their grassroots activism aims to represent the best interests of Liverpool fans on a local and international level, in keeping with Bill Shankly’s values on community and support. In 2015 they made a trip up to Glenbuck to commemorate the 50th anniversary of Liverpool’s first historic FA Cup win. The village of Glenbuck is currently uninhabited, but there are plans to revive the birthplace of the renowned Liverpool Legend. Schemes are in discussion to restore the historic football field, establish a museum in the area and even reinstate the once mighty local team, the Glenbuck Cherrypickers. A charitable football academy has been set up in the village’s name which trains young players in Douglas, South Lanarkshire (one of Scotland’s most deprived areas). The mine is likely to become a centre for research and education due to its unique geological exposure according to the Scottish Mines Restoration Trust. Unsurprisingly, the largest number of visitors to Glenbuck are Liverpool supporters visiting the ‘lost village’ of their club legend. Nestled on the roadside in the village is a simple memorial to Bill Shankly, ‘The Legend, The Genius, The Man’. Dedicated fans can also travel to Muirkirk Heritage Park a short distance away to see the larger memorial unveiled by LFC legends, Alan Kennedy and Roy Evans, in 2014. 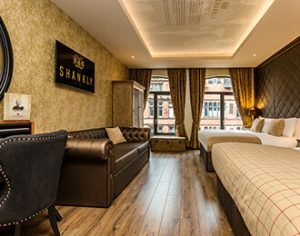 To book your stay at The Shankly Hotel, give our team a call on 0151 601 8801 or email reservations@shanklyhotel.com today and head over to our Facebook for more details. 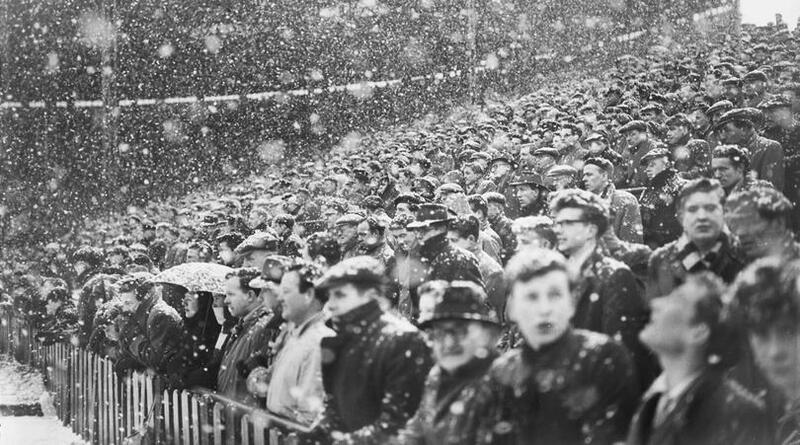 Bill Shankly knew how to captivate an audience. He was a manager filled with enthusiasm, intensity and passion for the game. This, combined with his amazing team management, is what made him one of the most celebrated football managers in the world. It’s no wonder that Bill Shankly quotes have gone down in history as gospel for the beautiful game. On 29 September, it will have been 37 years since we sadly lost the legendary leader. The former Liverpool manager, and one of the best-loved figures in British football, died on this day in 1981, after suffering a heart attack. Shankly led LFC to become one of the most successful footballing sides our country has ever seen, bumping the team back into the First Division and helping them win three championships and two FA Cups. “If you’re a member of The Kop, you feel as though you’re a member of a big society, where you’ve got thousands of friends all about you. They’re united and loyal”. Interestingly, this quote is often interpreted out of context, and what isn’t mentioned is the following sentence where Shankly says “My family’s suffered. They’ve been neglected”. Despite all the glory and success he achieved, Shankly remained humble and questioned if he’d always had his priorities straight. 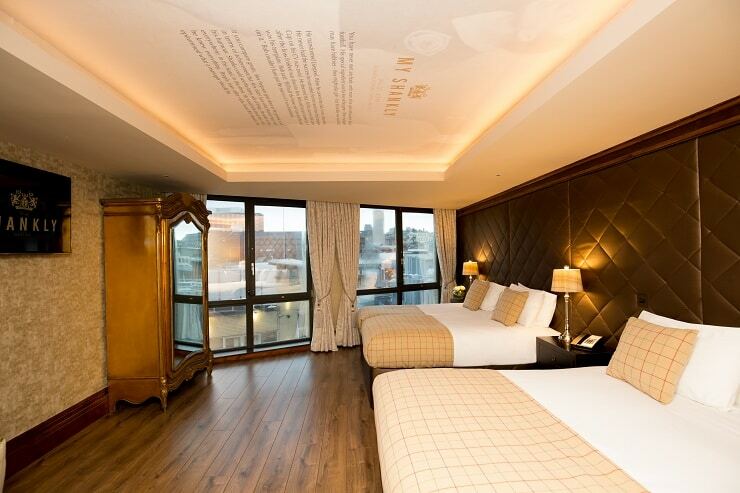 The Shankly Hotel is dedicated to celebrating the life and legacy of LFC’s greatest leader. 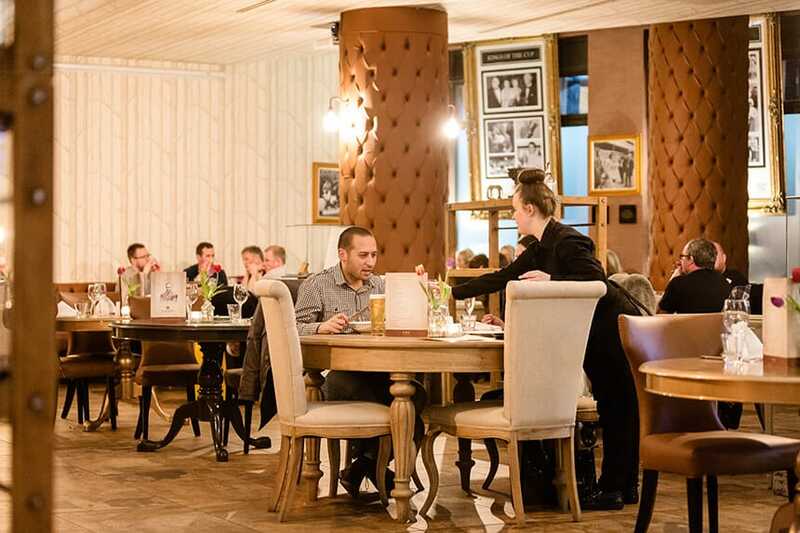 A night at The Shankly isn’t a stay – it’s an experience. You can explore the stories of Shankly’s successes and his ethos in life inside our uniquely designed suites, which are all based around a quote or anecdote celebrating the legendary manager. 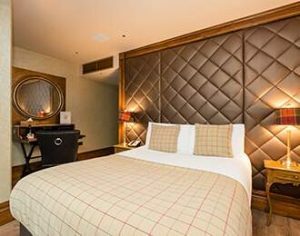 With unseen memorabilia throughout the hotel and spacious rooms equipped with luxury amenities including whirlpool baths, walk-in showers and flat-screen TVs, a night at The Shankly is the perfect present for any Liverpool fan looking to discover more about the Father of Liverpool FC. We hope you enjoyed the 25 best-ever Bill Shankly quotes and we look forward to welcoming you to The Shankly Hotel. 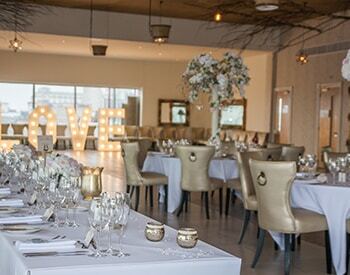 To book, call our friendly team on 0151 909 3635 or visit our booking page today. Make sure you check out our offers page for some incredible autumn packages. On 2 September, it would have been Bill Shankly’s birthday. For the special occasion, we thought it would be a great chance to look back at Shankly’s best moments caught on film and celebrate the legacy of the renowned Liverpool FC leader. Famously reserved, the glimpses of his grace and humour shine through on the few clips we have of the legendary manager, as does the down-to-earth manner, and no-nonsense straight talking he became famous for. The coverage of Anfield celebrations after the Reds took the Championship in ‘73 reveal the special bond between Shankly and LFC fans. In the video, the winning team runs towards the Kop to a resounding cheer, with the cup thrust above their heads. Shankly himself then heads towards the Kop as the emotionally-charged singing of You’ll Never Walk Alone fills the stadium. The legendary manager waves to the crowds, raising his fists in triumph. His admiration for the fans is clear but, as the commentator says, “It’s difficult to say who admires who most now”. “No football club is ever successful without hard work”. In this short interview clip, Bill Shankly sets out where his ethos as a football manager stems from. Remembering his time in the armed forces, Shankly reveals how he’s adapted his work ethic in the army for his footballing career. We often talk of Shankly being the greatest ever, but it’s also true to say that Liverpool fans are also some of the best supporters in the world. The legendary football manager knew that the dedication Reds put into their team was second to none. Shankly once described his intimate connection with fans in a typically eloquent way: “Liverpool was made for me and I was made for Liverpool”. The above video was taken on 9 May 1971 after Liverpool had just lost the 1971 FA Cup Final against Arsenal. Despite the score of 2-1, Reds fans still filled the square outside St George’s Hall in Liverpool city centre, giving the frustrated team a hero’s welcome. On seeing the throng of fans, Shankly apparently held his arms wide and declared: “Chairman Mao has never seen the greatest show of red strength!” to cheers from the crowd. He then went on to express the privilege it was for LFC footballers to play for their fans, to chants of ‘Shankly, Shankly’ from the whole square. In this short clip of a Shankly interview, the King of the Kop reaffirms his belief in hard work being the deciding factor for success in life, singling out ‘natural enthusiasm’ as his most important trait. Much of Shankly’s childhood was defined by working hard and to the best of your ability – he grew up in a remote and poverty-stricken village in Scotland, who’s only exports were coal and footballers. The community of Glenbuck, in East Ayrshire, strove to do the best job possible in helping out their neighbours. According to former inhabitants of the tiny village, the mining settlement had a collective attitude to life and were happy to help any family in need. This community spirit followed Shankly into his career as a manager, where he instilled a belief that footballers should play as a team and not as a group of individuals, and that the best footballers were the hard-working ones. At the beginning of this clip, Bill Shankly describes his admiration for The Kop and the loyal fans who count themselves as part of the famous fan group. It was a relationship that went both ways: as the rest of the clip shows, when Shankly sadly past away in 1981, it was The Kop that lead the mourning for the father of football in Liverpool. On behalf of everyone at The Shankly Hotel, we’d like to say Happy Birthday to Bill Shankly – a legendary football manager like no other. The Shankly Hotel is dedicated to celebrating the life and legacy of LFC’s greatest leader. 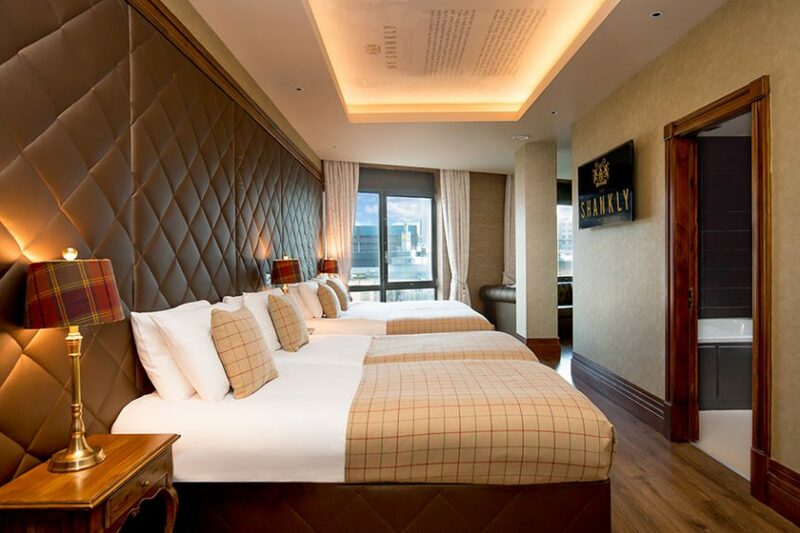 We like to say that a night at The Shankly isn’t a stay, but an experience. 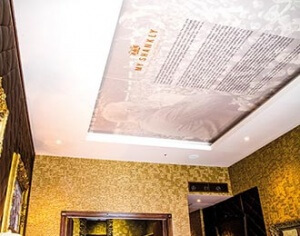 The stories of Shankly’s successes and his ethos in life are woven into the design of the hotel, with each suite based around a quote or anecdote celebrating the legendary manager. With unseen memorabilia throughout the hotel, including Shankly’s own typewriter, a Telegram wishing him luck from The Beatles, and much more, a night at The Shankly is the perfect present for any Liverpool fan looking to discover more about the Reds legendary manager. From 22 to 28 August, the sounds of Paul, John, Ringo and George will be ringing through the streets of Liverpool even more than they normally do, as International Beatleweek 2018 hits the city. 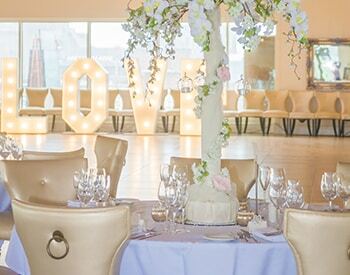 Whether you’re a fan of Hey Jude, Eleanor Rigby, Penny Lane or one of the many other classic hits, they’ll all be booming out from venues across Merseyside, including the legendary Cavern Club and even Signature Living’s very own Alma de Cuba. 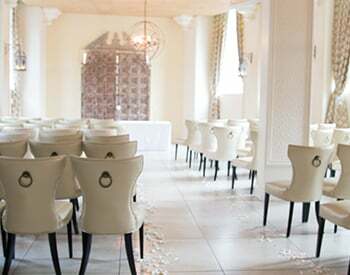 And if you’re looking for somewhere to stay during annual celebrations, there’s nowhere better than The Shankly Hotel. Catapulted to global fame during the swinging 60s, the meteoric rise of the band from Merseyside came at exactly the same time that Liverpool FC, manned by the legendary Bill Shankly, began their own whirlwind trip to the top and it’s hard not to draw comparisons between these two bastions of Scouse culture. The Beatle – Fans of Football? It’s well known that none of The Beatles were huge football fans – and none of them were Reds! The are-they-aren’t-they questions over John Lennon and Paul McCartney’s sporting allegiances have been put to rest by the discovery that Paul is an Evertonian, following in his father’s footsteps. There’s even a photo of him outside Wembley during the 1968 FA Cup final. John seemed to have little to no interest in the game. George also wasn’t a footie fan. Ringo, meanwhile, was an Arsenal supporter, following in the steps of his stepfather who hailed from London. 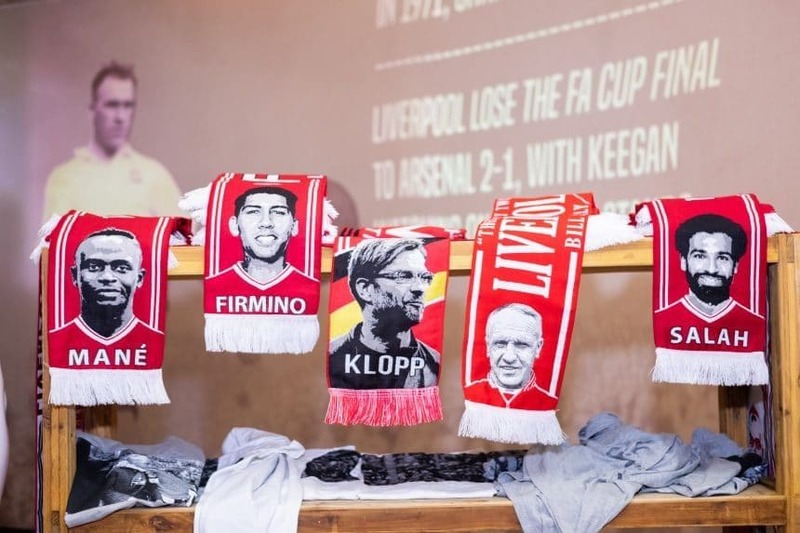 But that didn’t stop the boys occasionally taking an interest and at The Shankly Hotel you can experience some of the exclusive memorabilia that shows just how closely LFC’s glory days were linked to the Fab Four. 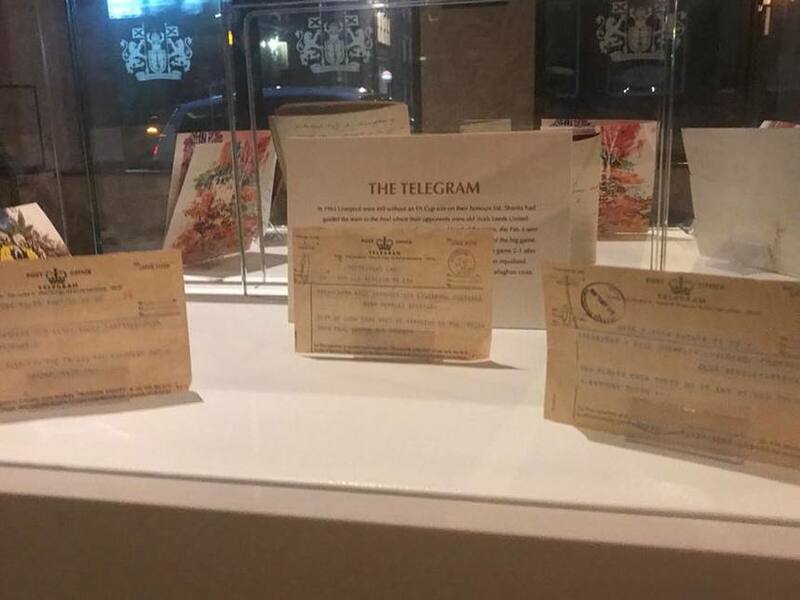 Displayed in the hotel is a telegram sent to Bill Shankly by The Beatles before the 1965 FA Cup final. In it, the Scouse band wish the Reds best of luck in their forthcoming game and tell Shankly that they’ll be watching it on ‘the tele’. 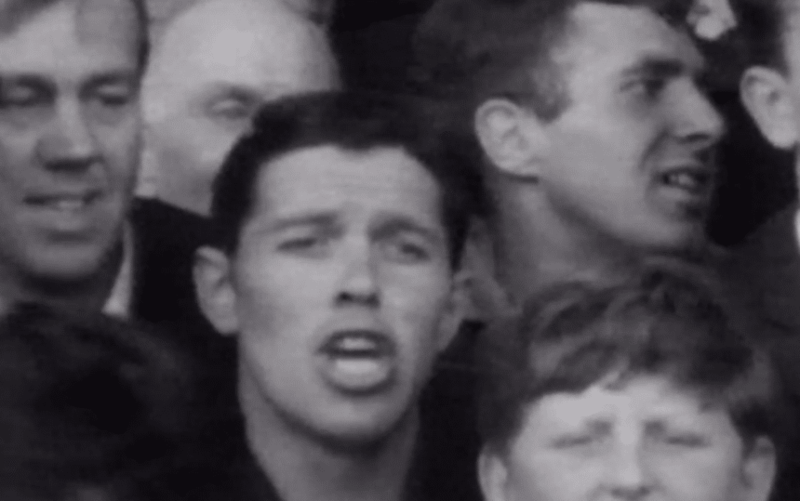 At the start of the 60s, Liverpool’s fans were renowned for their passion and excitement but also their songs. At each game, the Kop would come alive as the crowds roared out popular tunes and famous Anfield lyrics. 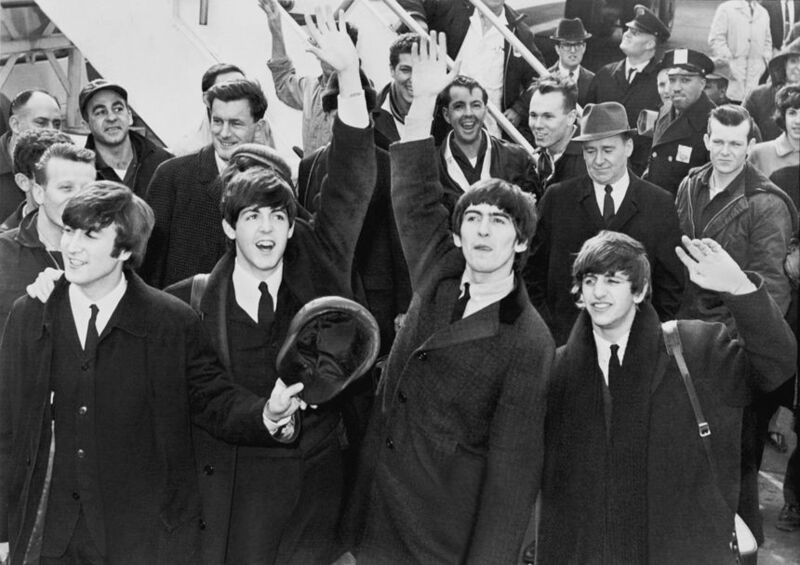 Included in that game-day track list were some of the Beatles best hits, such as ‘We Love You’. As the Merseybeats movement took off and Beatlemania started to grow from 1962 onwards, a buzz took over the city (which in the eyes of the music world had become the centre of the universe). This year’s International Beatleweek kicks off with a rock’n’roll all-day session at The Cavern from 10:30am on Wednesday 22 August, with live music on three stages from global tribute bands. The party at The Cavern continues on 23 August, before Friday sees the start of some special events for this year. Alma de Cuba is hosting a birthday party for George Harrison and the Philharmonic celebrating the 50th anniversary of ‘The White Album’ in a special evening performance. 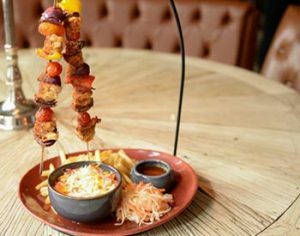 Head to the Adelphi Hotel on Friday even for the first of four late night parties filled with all the hits until the early hours. Over the bank holiday weekend, highlights include the Annual Convention and new for 2018, Scousechella at Grand Central Hall, where tribute acts will be paying homage to Paul McCartney’s 2016 Coachella performance, as well as the global superstars he played alongside: Bob Dylan, The Rolling Stones, The Who, Roger Waters and Neil Young. 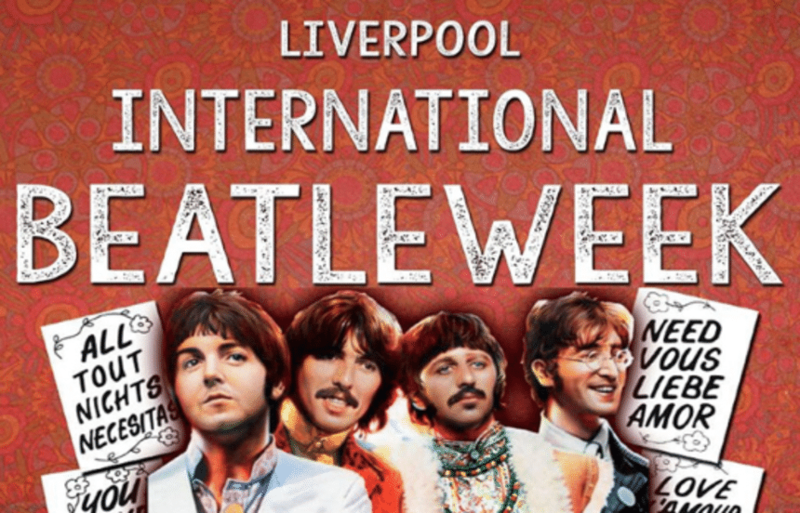 For a full schedule and to buy tickets or packages, visit the International Beatleweek website. 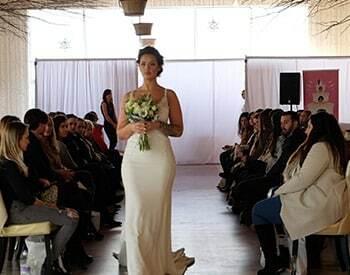 Some of the events during the week are only available for package-holders. 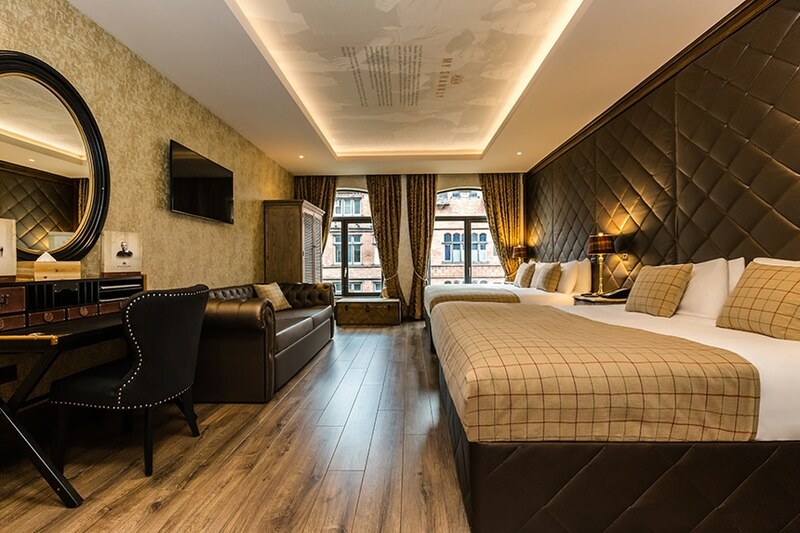 With the ultimate celebration of all things Beatles just around the corner, why not stay at The Shankly Hotel during the festival and celebrate the glory years of the city of Liverpool? Whether you’re a Reds fan, a Beatles fan, or both, the landmark hotel in the centre of Liverpool is a celebration of the best of the city. Plus, our exclusive memorabilia includes the famous Beatles telegram sent to Bill Shankly on the eve of the 1964 FA cup final! 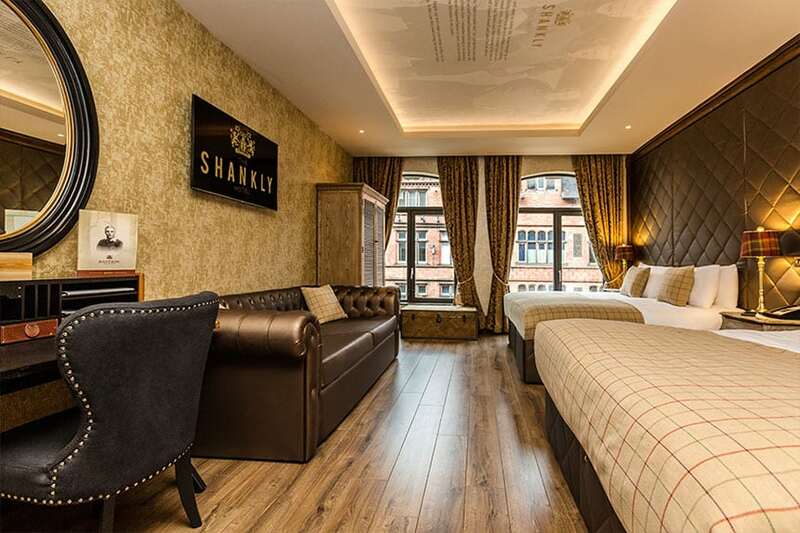 A stay at the Shankly is an experience like no other with suites that commemorate the legacy of the legendary manager and a bar and restaurant dedicated to the beautiful game. Situated in the centre of the city, you’ll only be a short walk away from the key venues of International Beatleweek including the Adelphi Hotel (9mins) and the Cavern Club (5mins) as well as nearby to all the best Beatles attractions around Liverpool. 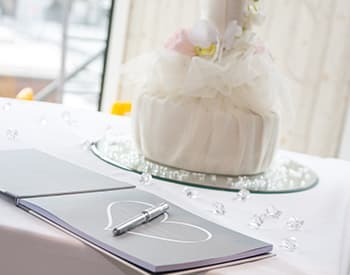 For more information, or to book a room, call our team on 0151 601 5623 today. More famous today than he was when he passed away, Bill Shankly is a name that will resonate throughout the ages in Liverpool and the sporting world. Famous for moulding the Liverpool football club we know and love today, Shankly laid the foundations for what would be the clubs continued success long after his retirement. So what was it that took Bill Shankly from a humble miner living in Glenbuck to the greatest and most well-respected football manager among peers, fans and players? A recent BBC Shankly documentary titled Shankly: Natures Fire takes a look at everything from Shankly’s humble beginnings to the height of his stardom. The BBC Shankly documentary starts where Shankly did, in Glenbuck village. Talking with one of Shankly’s nieces, Barbara we get a sense of what his early life was and where his love of football began. At 15 years old Shankly worked down the mines, as did any other young man in the area and the game of football was a reprieve from the dark and claustrophobic conditions of the pits. During interviews with many of Shankly’s peers and friends, there is an overall conclusion that the camaraderie and communal spirit of the pits remained with Shankly throughout his life and helped forge Shankly ‘sand another 50 pro-footballers careers from within the area. Their collective drive and ambition born from forging a common purpose together as one unit in both work and play. 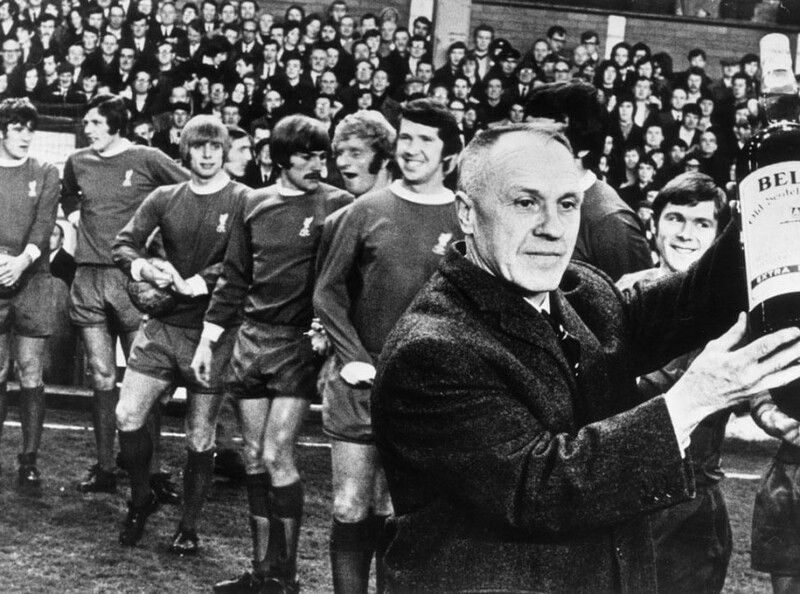 Teamwork was in their bones, chiselled into their way of life from an early age and it is on these principals that Shankly went on to build his style of management in later life. After leaving Glenbuck behind the BBC Shankly documentary takes us to through Shankly’s brief playing career at first Carlisle then Preston Northend. At the time of being scouted by Preston Northend, the club was one of the top class teams in the league. They paid a huge sum of £500 to sign Shankly and despite this being a huge opportunity for Shanks as a player he was reluctant to move so far from home. Family and friends recount how he confided to his older sibling worries about moving so far away for not much more money. Thankfully Shanks was reminded of the opportunity and took it, playing in the 1938 FA Cup and winning against Huddersfield Town. War cut off Shankly’s pro-football career taking 6 or 7 of his best playing years away whilst he served in the RAF. Upon returning to professional football after the war was over for the 1946-47 season Shanks was coming to the end of his playing career at the age of 33 and decided instead to put his skills into a promising management career. Following Shankly from his return to Carlisle as a manager to Grimsby and then Huddersfield, viewers are given a real sense of what made Bill Shankly a force to be reckoned with both on and off the pitch. The majority of the BBC Shankly documentary covers Shankly’s overwhelming effect on the people of Liverpool as he comes to transform Liverpool football club from a second division team to FA Cup winners. Players like Ian St John, Roger Hunt, Kevin Keegan and Chris Lawler give detailed recollections of their time under Shankly. Each remembering fondly the personal and professional advice he gave them as well as some of their favourite memories of his character. Ian St John remembers how “he made us believe” and Kevin Keegan recollects how “it was all about the team”. Shankly believed that with a strong team and strong support of the fans, anything could be accomplished and that by working together no one player could ever be to blame for the team’s failure or success. Each person who is interviewed throughout recalls Shankly being a man of the people and how he wanted to change the luck of Liverpool football club so the fans had a team they could be proud of. Even though Shankly seemingly lived for the game of football, the legacy he has left behind was built upon so much more than the games he won. The people who knew Shankly well recall his connection with everyone he met. How he knew the name of the cleaners and tea lady’s at the training grounds and stadiums and how he always opened his doors to fans who came knocking at this home address. His granddaughter, Karen Gill, recalls her nan, Nessie, asking for the front lawn to be paved over as it was constantly being worn away by visitors and fans coming to see him. The Spirit of Shankly remembers his attitude towards the game of football and what it meant to communities who not only played it but supported the game too. There are dedications to Shankly in Preston’s Deepdale football ground, The Shankly Hotel in Liverpool and the Shankly Museum and Shankly Experience tours each helping others to remember the great man. Such is the lasting legacy that Shankly left behind with his fans, his peers and of course his loving family. Many of the players who contributed to the BBC Shankly documentary recall Shankly’s unique training methods and remember how his style of playing became dubbed the Liverpool way. The sweat boxes being a particular favourite of Shankly’s, players would have to react to a rebounding ball kicked off a specially made board. The players note that before the time of Shankly, the training involved staying in shape by running laps of the pitch but not so much ball time. Howard Gale thinks back to a time when he used to climb the walls of Mellwood to watch the players train, dreaming of nothing but playing for Liverpool. In the documentary, Gale remembers the day Shankly came out to speak with those watching asking why they weren’t in school and instilling how important an education is before playing football. There was more to playing the game for Shankly, he said that anyone could play football the skill was learning to work together as a team. After building his team up from key players, Shankly had but one goal, to win the FA Cup for Liverpool and the people for the very first time. This, he and his world-class team did in 1965 and the Shankly documentary shows the unprecedented turn out of Liverpool fans when the team came home to parade the cup through the city. More fans share their memories of the extraordinary day and how much it changed moral in the city. It was onwards and upwards for the team from that moment on and Liverpool football club had become the Bastion of English football Shankly always knew they could be. The peak of Shankly’s time with Liverpool coincided with the meteoric rise of Merseybeat music, the Shankly documentary captures how Liverpool had become the spotlight of the world in areas of sport and music. Following the success of Liverpool into the next decade, the BBC Shankly documentary covers Liverpool’s first European trophy win in 1973, another league win, Liverpool’s 8th so far and the return of the FA Cup to Liverpool in 1974 after beating Newcastle United. As with all good things, the career of Shankly had to come to an end and in July 1974 news broke that Shankly had resigned as manager of Liverpool football club. 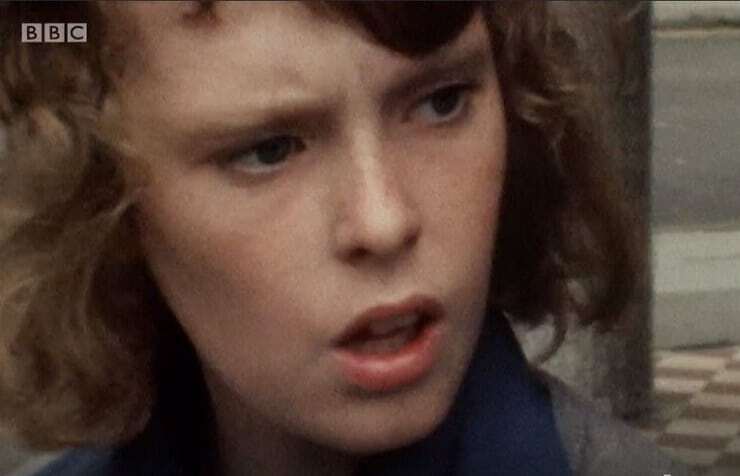 Old film footage has been collected to show the shock and bewilderment of fans all over the city as reporters break the news to groups of Liverpool supporters. Their looks of dismay captured on camera show just how important Shankly had become to the people of Liverpool and just how much he was going to be missed. By watching the entire Shankly documentary showing now on BBC iPlayer, people can learn all about a man that changed Liverpool by doing more than building a football team that won trophies. His efforts involved uniting the city and the players with a common purpose. By forging strong ties with the public, Shankly gained the fans, trust, respect and support which in turn bolstered the players to do their best to avoid disappointing Shankly and the people who loved them. People like Jamie Carragher and Steven Gerrard remember how important football was in the city of Liverpool, both players enjoyed a kick about form a young age and were instantly obsessed with the game. Today the sport has changed, moved forward into a business rather than the communal game Bill Shankly had used to inspire his training and managing tactics. The BBC Shankly documentary highlights the fans growing disappointment about how the sport has moved from being for the fans and is more money orientated today. High ticket prices, kit costs away games and season ticket restrictions are making it increasingly difficult for those who love football to support it. Something that if Shanks were around today, would shake him to his very core. As he would say, what is football without the fans? 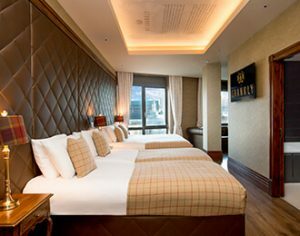 Check out the documentary on BBC iPlayer here and come along to The Shankly Hotel to tour The Shankly Museum or stay the night in one of the luxury hotel rooms dedicated to the great life and career of Bill Shankly using any of our amazing Shankly Hotel offers. Liverpool FC weren’t always in the top half of the footballing league tables, before Bill Shankly took over as manager, the club were struggling. When Shankly arrived at Anfield on Monday 14th December 1959, Liverpool had been in the Second Division for five years and had been beaten by non-league Worcester City in the 1958 – 59 FA Cup. However, their success all came down to a pivotal year when Bill Shankly led Liverpool to promotion from Division Two, showcasing both Shankly’s shrewd ability in the transfer market and his outstanding management skills. We take a look back at some fascinating Liverpool FC history and discover how Shankly built the club into the force we know it as today. When Shankly arrived at Anfield, the team and ground was in disrepair. There was no means of watering the pitch, the training ground at Melwood was a shambles and the Liverpool squad consisted largely of average players, with a few promising reserves. Shankly quickly decided that he needed to strengthen the team through the middle, they needed a strong goalkeeper, a centre half who could stop goals and somebody up front who could create and score goals. Shankly highlighted a list of 24 players that he wanted to replace, all were placed on the transfer list and had left the club within a year. One of the men on the list was legendary Billy Liddell, a player that was so loved that for a short time Liverpool were referred to as ‘Liddellpool’. Liddell had played for the club for 22 years and remains the oldest goalscorer in the Reds’ history. Although the decision may not have seemed too hard to make, as Liddell was now an aged player, it was still difficult to replace a man of that stature within the club. But, Shankly knew the squad needed a change and he needed to build a whole new team of his own. Bill Shankly was aware that Liverpool FC were struggling for money. They hadn’t won a trophy for 13 years and had spent six years in Division Two, meaning that the Board of Directors were reluctant to invest any money in them. However, with the help of Eric Sawyer, Shankly was able to secure the signatures of the two players at the top of his transfer wish list, Ian St John and Ron Yeats. These two players, as well as goalkeeper Tommy Lawrence, were described as the backbone of the new team. St John was a hugely important influence at Liverpool and played for the team for 10 years. Similarly, Yeats proved to be a great signing for Shankly and went on to captain Liverpool, lifting seven trophies during his career with them. Both players instantly went down in Liverpool FC history. When Shankly first came to Liverpool, he had orchestrated a lot of departures from the team. However, those that showed real talent and success stayed at Liverpool, which showed Shankly’s real skill as a manager. Liverpool FC’s key striker, Roger Hunt, was a driving force in the club’s improved performance. He scored 41 goals in 41 league appearances in the 61/62 season and Shankly used Hunt extensively in the two previous seasons, too, showing the strength in his judgement. It was clear that Shankly was not just selling players to make a profit for a whole new squad, he was remoulding the one he had and making them into a Division One side. And that is exactly what he did, in the 61/62 season Shankly lifted Liverpool out of Division Two forever. Shankly had built a squad that the fans had no fear would lose, they won their first six games and won the league title in April with five games to spare. When Liverpool made the leap from Division Two to Division One, it was a hugely significant event in Liverpool FC history. It kick started the golden age for football on Merseyside, the promotion saw Liverpool gain access to a better level of football and much more prestigious trophies were now up for grabs. After their second season in Division One, Shankly won the league title with Liverpool FC and the following year they won the FA Cup for the very first time. In his autobiography, Shankly recounted that among his many achievements, winning the 1965 FA Cup was his “greatest day”. 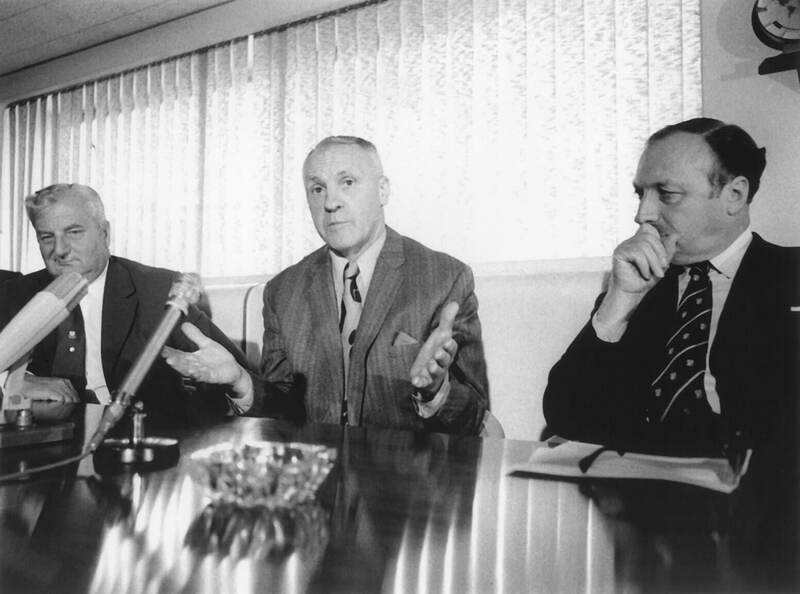 By the end of Bill Shankly’s management career at the club, Liverpool FC had become a First Division club that had won two FA Cups (1965 and 1974), the UEFA Cup (1973) and the FA Charity Shield in 1964, 1965 and 1966. We hope you’ve enjoyed our look back some Liverpool FC history and how the legendary Bill Shankly developed LFC into the amazing football team they are today. 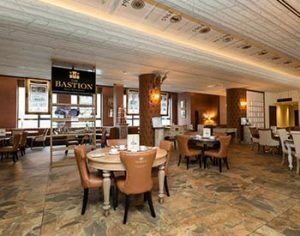 If you’d like to delve into his fascinating life more, visit the Shankly Hotel and check out the never-seen-before memorabilia in the Bastion Bar and Restaurant. Or, why not try a Shankly Tour Experience and see the Liverpool Shanks loved. The Shankly Tours are one of the most popular experiences our guests can enjoy when they stay with us at The Shankly Hotel, but it’s not just the public that have been enjoying our truly unique and exciting tour of Liverpool. The city has been lucky enough to host special charity matches at the legendary Anfield Stadium over the years, featuring some of the biggest names in international football. Whilst here on charitable business, it only seemed right that the legends would explore the city and find out more about the culture that makes Liverpool the best city in the world. In 2017, Anfield welcomed Real Madrid legends to our great city to play an amazing game of football and explore Liverpool. Following the mighty Reds’ 4-3 victory over the Spanish giants, the Real Madrid legends were treated to an unforgettable tour around the home of the Liver Bird. Having collaborated with Real Madrid Football Club and LFC, the Shankly Experience team crafted an exciting city tour for the visiting footballers. Embarking on a cultural journey around the city, the team were able to experience everything Liverpool had to offer, from Mathew Street, The Cavern Club and The Beatles’ homes, to footballing beacons like The Shankly Playing Fields and Melwood. 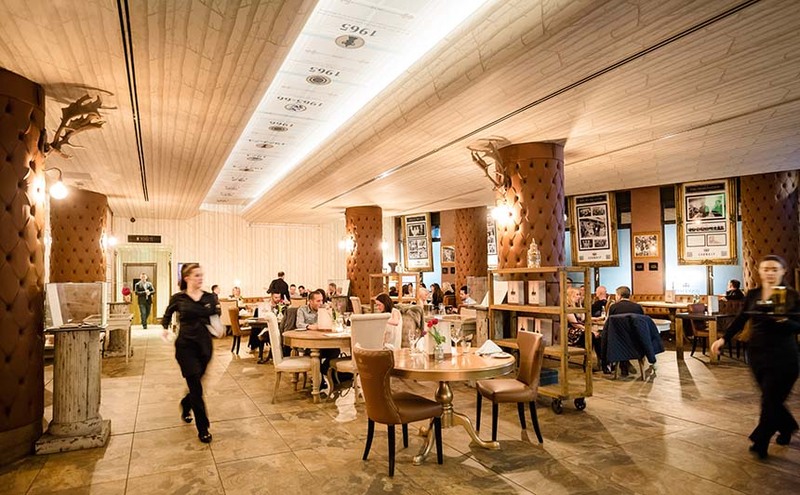 Topped off with an incredible private lunch in our stunning Baby Eden function room at The Shankly Hotel, the tour was one that will surely stick with the Real Madrid legends for years to come. This year, it was Bayern Munich’s turn to attempt to defeat the legendary Red heroes, but both teams played incredibly well and came up evens with a 5-5 draw. 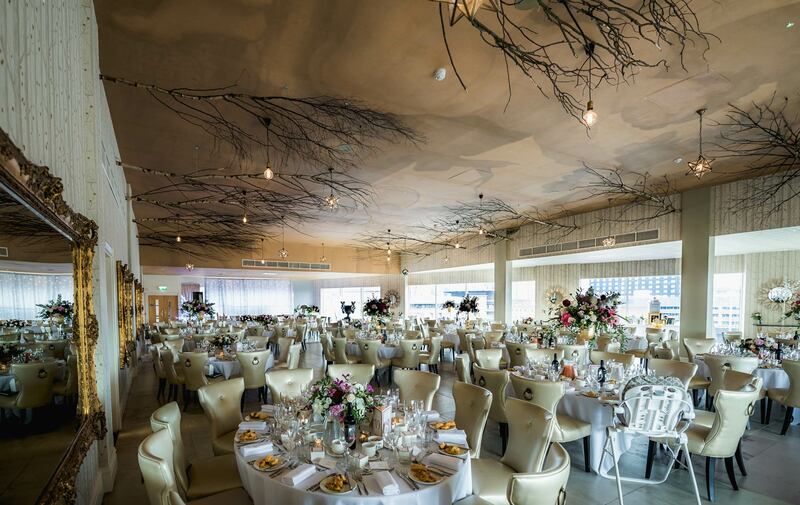 The German team’s legends enjoyed a similar experience to Real Madrid’s team last year, with a luxurious meal in the coveted Garden of Eden at The Shankly Hotel. Some of Bayern’s most well-loved players took a seat in the beautiful venue and enjoyed the spectacular views over the iconic skyline. Our hotel is the perfect place for legends to visit. It stands proud as a lasting monument to one of football’s biggest heroes, Bill Shankly, the man who changed Liverpool Football Club forever. A fantastic tour of Liverpool isn’t just for footballing legends, Shankly Tours operate throughout the year and are perfect for both football fans and those visiting the city. 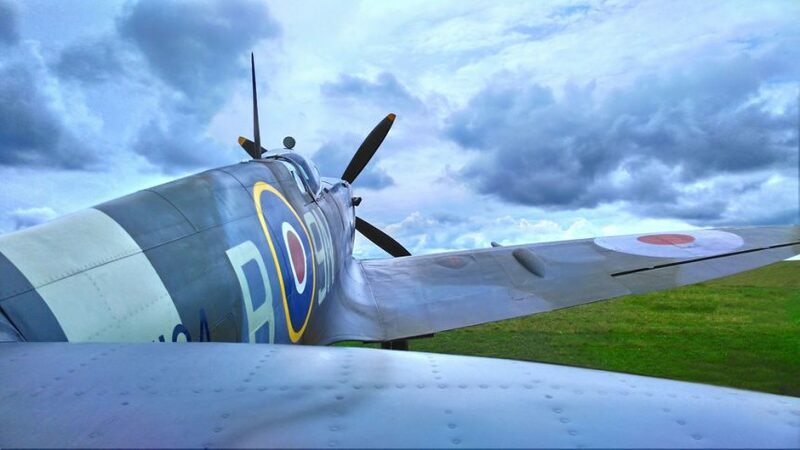 Our Memorabilia Tours are a big hit with guests, locals and tourists. 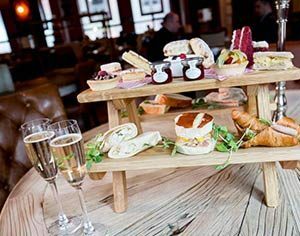 This unique experience includes an exciting guided tour of the exclusive Bill Shankly memorabilia on display with a member of Bill Shankly’s family. Here, guests will discover incredible stories and family anecdotes about the great man and team, before receiving a free drink and getting their photo taken with Shankly via Augmented Reality Technology. The Shankly Experience also offer unique, tailor made football-themed tours and experiences that feature visits to footballing landmarks across the city, bespoke trips to Anfield stadium and exclusive access to memorabilia in The Shankly Hotel, with lots of added extras. No group is too large for our Shankly Experience team, the more the merrier! Get in touch with our dedicated coordinator, Ashley, by emailing info@shanklyexperience.com and arrange the best tour you’ll ever experience.